Learn how to answer the hardest product, metric, A/B testing on-site questions. Such as: Should we add the love button on FB?, Which metric would you choose for this new feature?, etc. ☑ After you complete the challenge and send it over for review, you will receive a list of data science hiring manager contact information from all top US tech companies. See here for details. ☑ Real tech company tables, i.e. user table, event table, A/B test tables, etc. You will unlock this dataset after completing and sending over the challenge solution. It provides contact information of data science hiring managers and HR at several top tech companies. Search through the table to see if representatives from your target companies are there. If not, email us to ask to add them. 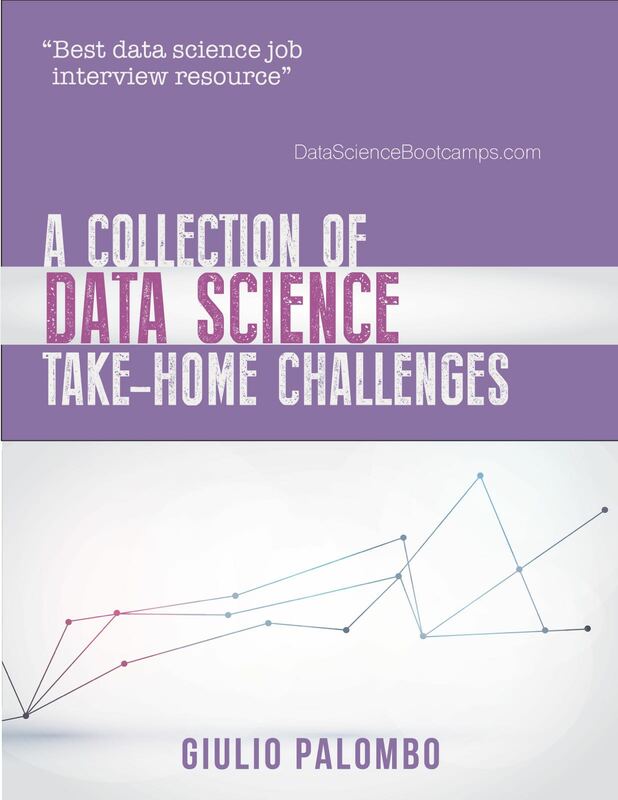 Beside the challenges, the introduction gives general advice on how to tackle data science take-home challenges. What hiring managers are looking for, how to break down the problem, what you should focus on, etc. One of the most common applications of data science: look at users coming to your site, predict who is going to convert and come up with ideas to improve conversion rate! In this challenge, you will check if an A/B test has been successful. Also, you will have to find out why results look counter-intuitive and design an algorithm to avoid that problem in future! People data science! Can you predict when and why an employee is about to quit? This is one of the most recent, impactful and interesting applications of data science! Any website transacting money has a team of data scientists, often called "risk team", to predict whether a transaction is fraudulent. Build the model and design a personalized user experience based on the model output. Look at how users use your site, where they click, and optimize user experience! Check click-through-rate for each page of your site and identify: what's broken, guess why and come up with ideas to improve conversion rate! Optimize pricing on your site by looking at a pricing A/B test results! Can you improve revenue by offering different prices to different kinds of users? Use Machine Learning to predict when to send a marketing email and what should be the email characteristics if you want to maximize the campaign effectiveness! Come up with ideas to personalize the email campaign so that different users get different emails! Very early stage startups work with json files! You'll have to parse a json and build a song recommendation model in order to increase user engagement! Look at user online purchases and try to automatically create categories based on what users are buying together! Anomaly detection! Use unsupervised machine learning to identify credit card transactions that appear suspicious! Sites offer you a reward if you send an invite to a new user and the new user uses the product. Let's find out with this challenge the impact of a referral program! One of the hottest fintech topics here! We have data here about when a bank grants a loan. Try to beat their model and create a more efficient way to decide who should receive a loan! Look at user browsing behavior on a hotel travel site and cluster them based on the browsing behavior. Can you predict in an unsupervised way who is going to book a hotel? Using data to optimize the off-line world! Based on employee home address, optimize the best shuttle stop location! Hot topic here! Look at data about employee salaries, title, and experience and figure out if the company is treating its employees fairly or there is some discrimination going on! Learn how to parse a URL and suggest ways to improve a travel site search algorithm! Another A/B test project. Look at test results and figure out whether engagement is going up! Also, figure out when an A/B test framework might fail! Figure out which videos should be promoted on the home page in order to maximize revenue from ads! Can you identify the characteristics of "hot videos"? Is virality predictable?? Companies love subscription business models! Predict subscriber churn rate and come up with ideas to improve the company revenue via personalized offers! Another classical application of data science here! Can you optimize a company ads campaign? Which metric would you choose to identify the best ads? An example of a possible solution for the conversion rate challenge! You can use this solution template for pretty much any challenge where you have to build a machine learning model and extract insights from the model! Solution for the third challenge. Another example to solve challenges which are based on looking at the data, building a model and then extract info from the model! An other reusable template on how machine learning can be used to predict when and why an employee decides to change job! Are you applying for a fintech company, the risk team in any tech company or a bank? This solution template shows how to deal with transaction-related data! Giulio Palombo worked as a data scientist for several high-growth Silicon Valley tech companies, the last one being Airbnb. In his career, he reviewed countless candidate take-home challenges, helped companies prepare their own take-home challenge, and coached hundreds of candidates. All this experience and inside knowledge have been condensed on this site. Giulio is an excellent advisor for preparing for interviews. Super recommended. 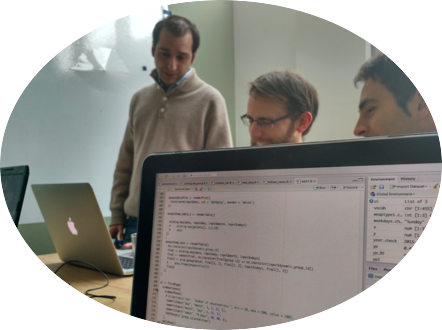 Looking for a full course in Product Data Science?